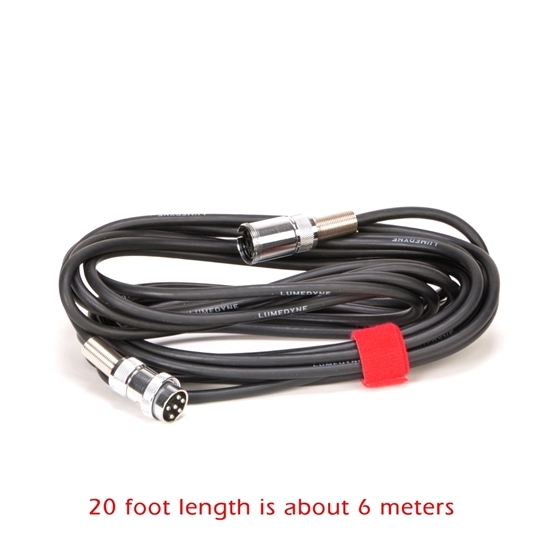 The Straight Head Cable HC20 is about 20 feet long and has a male end that plugs towards the Power Pack and a female end that matches with the male plugs on the Flash Heads. Thats about six meters long. This is the longest cable we offer and is a suitable way to extend the Head's built-in cable by an extra twenty feet or to use a twenty foot cable directly to the male plug on the Signature Series Heads. If you want to make your Flash Head's cable up to twenty feet longer so that you have additional cable hanging around, this is a good solution for you. The 20 foot cable is great for using a second Head from the same Power Pack becasue it's long enough to keep it out of the field of view and yet produce side or back lighting effects for you. If you have a long cord and are using it on a single light stand, consider rolling the cable in four or five circles around the light stand so it wraps it's way up, rather than laying on the floor if not extended. 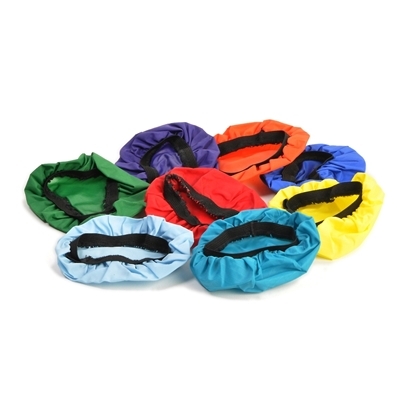 The Velcro cable wrap that is included will also help secure the cable out of the way. It is true that adding extra cable length will result in slightly less light output. For example, adding 20 feet of extra cable will result in about 1/4 of an f-stop of light loss. These cables are produced here in our USA factory and thoroughly tested. When the cables are used correctly, you should expect many years of reliable service. The cable includes a red Velcro cable wrap for securing to the stand during use and rolling up for storage. The key elements to success are plugging in connections before turning on the products, so that high voltage is not present before it is plugged correctly in. And second, using the threaded locking collars to gently secure the cables into place. Many failures happen after the cables are shaken loose during use because they were not locked into place. It is not needed to make the collars tight, only threaded shut.